(THE POOL SOLUTION) is a true multi-function product. 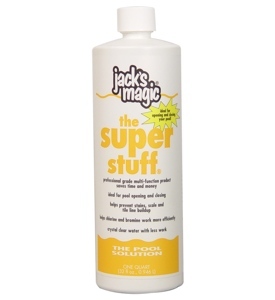 The Super Stuff works like a clarifier to gather small particles together to aid in their removal by the filter. 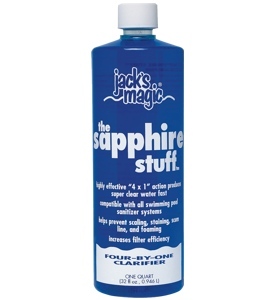 This product also functions as an oil-in-water emulsion breaker, which provides a constant cleaning action of body and suntan oils. 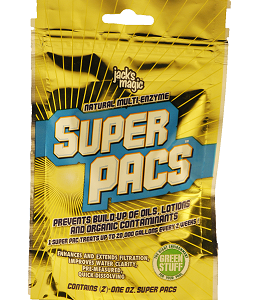 When used monthly, The Super Stuff also helps prevent staining and discoloration due to oxidized metals by removing metal ions. 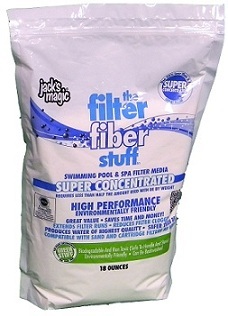 The Super Stuff is ideal for pool openings and closings.